Invisalign treatment is the leading request for teeth straightening in the United States. Adults that have never had braces or had them in the past but their teeth have moved back into their original spot are big fans of Invisalign. 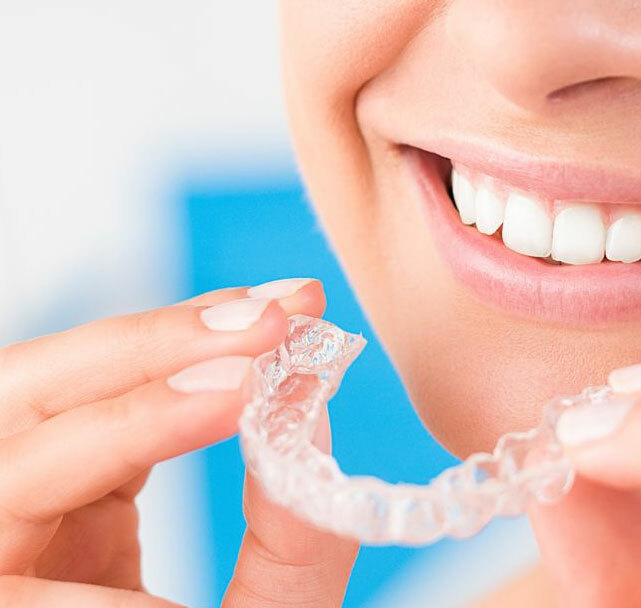 The truth is, Invisalign comes with plenty of benefits such as easy removal, clear aligners and the opportunity to eat anything you want while your teeth remain in treatment. Here are 5 things to know before starting your Invisalign treatment. Patients often feel confused when they discuss Invisalign treatment with their orthodontist because they don’t realize the amount of teeth brushing that is involved with the overall treatment. You need to remove the aligners every time you eat. Since you remove the aligners and expose your teeth to food particles, they have the opportunity to get caught between your teeth or sticky substances can get stuck to the enamel. Brushing your teeth after every meal and snack prevents trapping the particles and bacteria growth. Since you need to remove your aligners and brush after eating every meal and snack, patients that use Invisalign often become binge eaters to prevent the amount of times per day they brush their teeth. This is common for busy business people and adults with a chaotic schedule that doesn’t allow them to brush their teeth after every meal. Binge eating can lead to weight gain and other health issues. You have to accept the fact that you will be reaching into your mouth and removing your clear aligners. This will become part of your daily routine. In the beginning, you will feel quite shy about removing them in front of people. Most users excuse themselves and remove them in the privacy of the bathroom. Patients that eat out at restaurants often feel embarrassed to remove them in public and rush to the restroom for privacy. You will need to create your own discrete plan when eating and drinking. Patients are often surprised to learn their dental insurance policy includes the coverage of Invisalign treatment. All policies are different, but you can contact your dental insurance company to confirm if they cover the full cost or possibly a portion. You can also contact your orthodontist to see if they offer finance options that involve affordable monthly payments. Call us at 212-972-3522 with hello with your insurance dental policy. Society has placed high importance on a beautiful straight smile with the arrival and continued success of social media. Everyone wants to look their best in pictures. Society is taking more pictures today compared to the past when people would only take photographs for holidays and special events. Straightening your teeth and following up with a professional whitening treatment will give you the confidence boost you need. Living with Invisalign treatment involves patience and planning. However, once you become comfortable with the treatment and create your own routine, you are on your way to a beautiful straight smile. Are you ready to find your best smile? Contact us today or call us at 212-972-3522 to begin your Invisalign treatment. >> Who is a Good Candidate for Teeth Whitening Treatments in NYC?